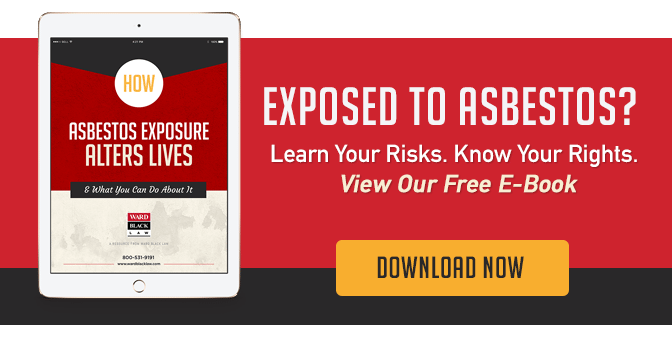 Asbestos Exposure Sites – Winston-Salem, N.C. In the early 1900s, a virtually indestructible and heat-resistant mineral called asbestos was used in many industrial and manufacturing products. By the 1970s, the prevalence of asbestos-containing materials became a serious problem, largely because the federal government began issuing warnings of a possible link between certain cancers (such as mesothelioma) and asbestos exposure. Mesothelioma, a rare, but deadly cancer of the lining of the chest cavity. Cancers of the lung, colon, larynx, throat, esophagus or pharynx. Asbestosis, a scarring of delicate lung tissue. This scarring can spread through the lungs and cause severe respiratory problems. Pleural disease, a scarring of the lung lining that can cause significant respiratory problems. Winston-Salem, North Carolina, is home to several global brands and national corporations, including R.J. Reynolds Tobacco Company, Krispy Kreme, BB&T and Hanesbrands, Inc. Unfortunately, the city is also home to hundreds of instances of hazardous asbestos exposure. Not only are employees of these businesses at greater risk of developing asbestos-related diseases, but the businesses themselves are being held liable for any injury or harm caused by the work environment they provided. Exposed to asbestos in Winston-Salem, N.C.? If you have been employed by any of the Winston-Salem, N.C., businesses listed above, or otherwise worked around asbestos, you may be at greater risk of developing an asbestos-related disease or medical condition. Ward Black Law’s team of experienced attorneys have successfully represented more than 1,000 victims of asbestos exposure. To schedule a free legal consultation with one of our asbestos exposure attorneys, call our Greensboro, N.C., law firm at 336-333-2244 or toll-free at 1-877-256-1214. You may also reach Ward Black Law by email or online inquiry.